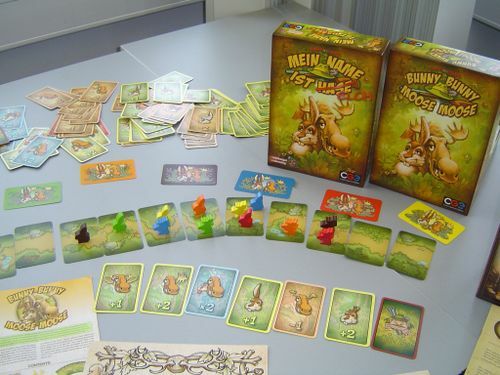 In this Bunny Bunny Moose Moose, players take on the roles of rabbits and moose. While the hunter strolls through the forest, players are trying to look like an animal the hunter won’t shoot. And because they do so by making rabbit ears or moose antlers of various shapes on their heads, the spectators enjoy the game as well as the players. Components in excellent condition, I played this game a few times but it didn't suit my group. 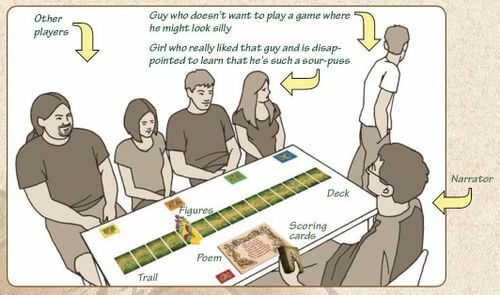 Yes this diagram is actually in the rule book.